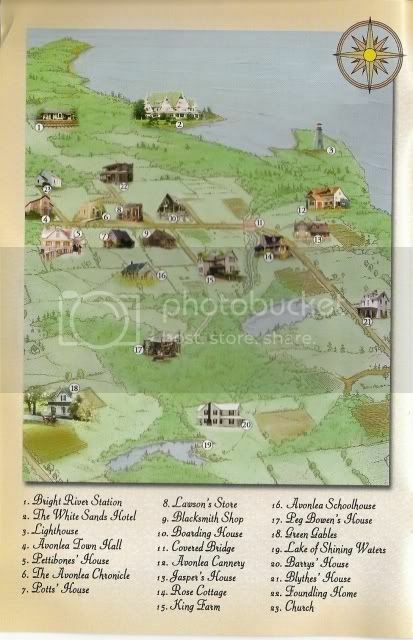 This is a map of the locations of the places in Road to Avonlea. The second map is found in the booklet that came with the seventh season. I think the top map is a little more acurate, but the bottom map is somewhat easier to understand. Please do not take these maps and put them onto your own site. 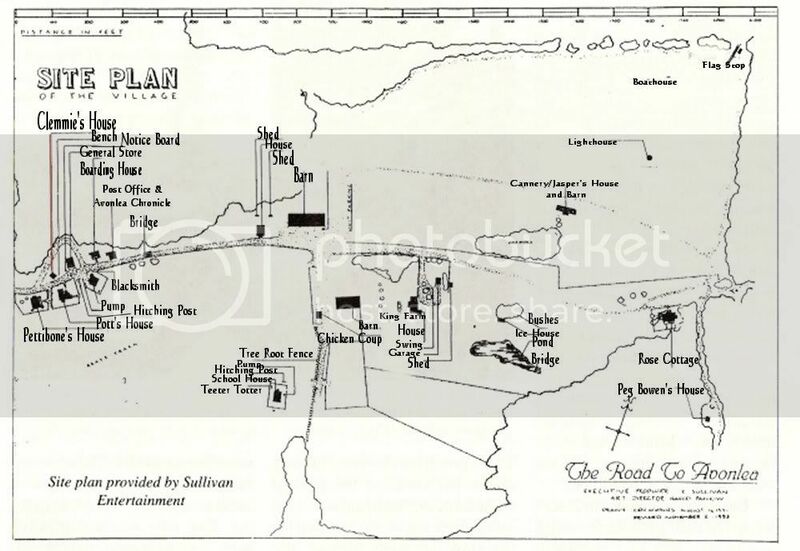 I received special persmission from Sullivan Entertainment to put these maps onto my website.